ALPENGLOW ADVENTURES TRAIN TOURS provides railroad tour packages every day of the year. We come to your front door with spacious vans to deliver you to train stations throughout central Colorado. 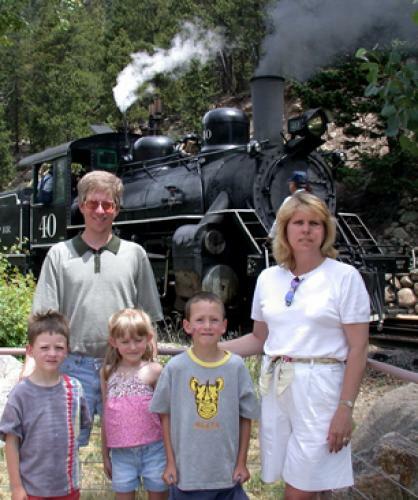 Choose between 3-, 5-, 8-, or 12-hour tour packages that include many additional family-fun activities along with the excitement of "ridin' the rails!" With the WhatToDo coupon, you can get FREE digital photos and videos, plus a FREE souvenir gift. For the very best scenery and relaxing comfort, Alpenglow Adventures makes your day a true "Rocky Mountain High!" From 7am to 10pm every day.